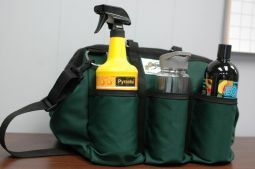 A great gift idea from barn owner to boarder and keeps your barn aisle tidy! The Velcro straps in back hold the bag in position on the stall front and keep it there for easy top loading access. Easy storage for your horse's winter clothing and blankets. Colors: Navy, Hunter, Burgundy, Black, Black Watch Plaid. Embroidered monogramming available for $15 - $19 extra. Specify full block or script, name, and color of embroidery thread. Embroidery will be centered on the bag for best viewing when the bag is full. It can be done on the flap as well but will show the best if done on the bag. TO Boot Bag, mesh front for good drying, black only. Choose from any of the following Diamond Styles. Pick the location you desire and the thread color you would like the Diamond Stitched in. Choose desired height. You are allowed three letters in the embroidery. Be sure to type the letters as you would like them to read. The order you type them in is the order they will be sewn out. Note: Monograms are typically ordered first initial, last initial, middle initial. Ex: Alex Lynn Smith would read ASL.